The image is a drawing, ‘The First Thanksgiving 1621’ oil on canvas by Jean Leon Gerome Ferris (1899). The faith of celebrating a harvest of plenty was a dramatic event in early Colonial America, since food supplies were far from dependable. Years of massive starvation were as common as times of plenty. 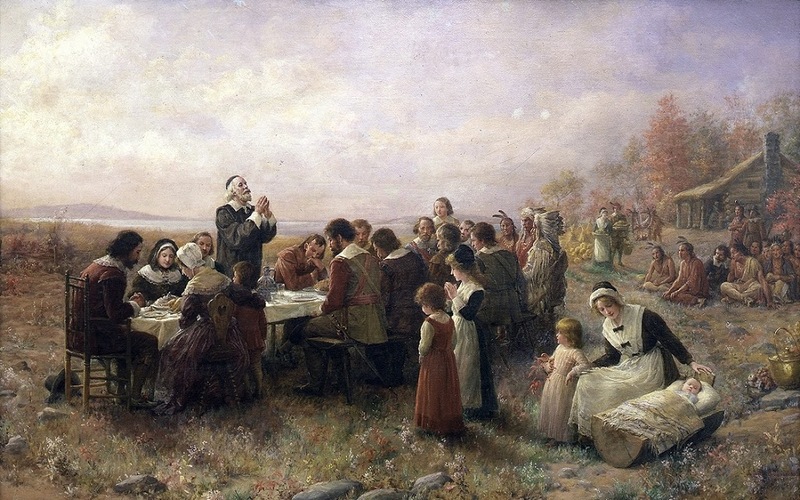 Although Native Americans were known to have harvest celebrations for centuries, if not millennia, before arrival of Europeans, the quintessence of Thanksgiving in all regions was a joint celebration of colonists and indigenous peoples, sharing the bounty of autumn and their common survival. Something similar was observed throughout Polynesia, but it was in pre-contact Hawaiʻi that the festival reached its greatest elaboration. 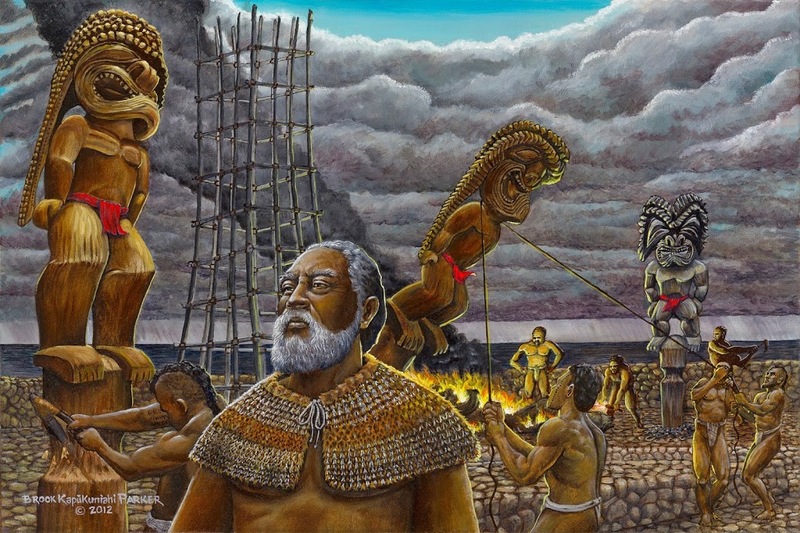 Makahiki was celebrated during a designated period of time following the harvesting season. As the year’s harvest was gathered, tributes in the form of goods and produce were given to the chiefs from November through December. 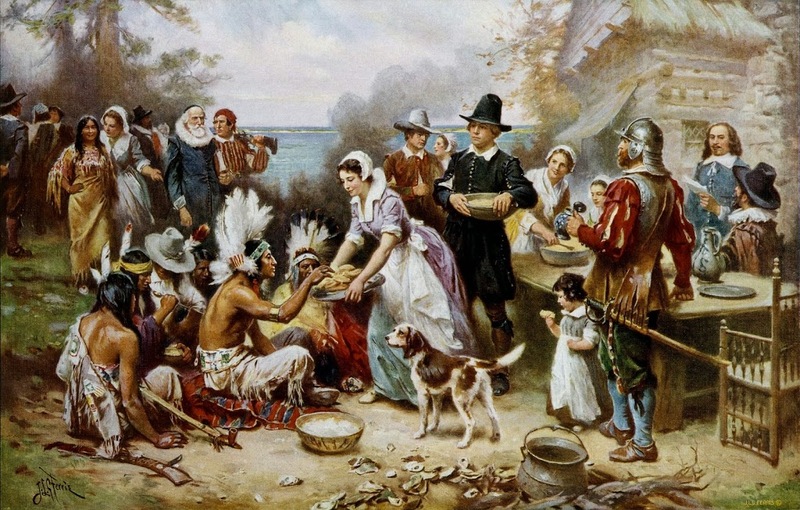 The image is a drawing, “The First Thanksgiving at Plymouth” by Jennie A. Brownscombe.